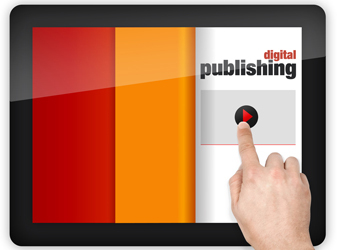 Research out of the UK suggests that most digital magazine readers find advertising embedded in their pages annoying. Seven in 10 of the sample polled by the Magazine Publishers’ Association found advertising in digital magazines ‘pretty annoying’, according to Media Week. However, while so many find them annoying, the majority continue to read magazines electronically due to ease of access. More than five in 10 (53%) opt to read digitally because it makes the experience more portable, 40% liked the interactive features including videos, photo galleries and 3D views and 37% cited environmental reasons. In contrast to the MPA’s findings, a study on digital advertising by Gfk MRI in the US found that 46% of respondents said they thought app advertising was relevant, unique and interesting, while 38% said in-app advertising was ‘eye catching and hard to ignore’. The figures appear in FIPP’s World Digital Media Factbook, which carries research from a number of sources, including PwC, comScore, Nielsen and Warc, on how readers are consuming magazines across digital platforms. In the US uptake of digital magazines among young adults has been particularly strong, with around half of 18-34 year olds reading them, according to data from Nielsen and Hearst. 41% who have downloaded apps for magazine content have paid for magazine content; and 51% of the current e-reader owners read magazines on their devices. Tablets also appear to be becoming the medium of choice with 67% of readers agreeing they would rather read an electronic version than a print version of a magazine.